Everything I do is focused on avoiding problems and saving money for my clients, whether it’s reaching a favorable outcome in an IRS audit, aggressively defending a tax controversy in the courtroom, defusing a criminal investigation or designing a holistic tax plan that will protect a client’s freedom and bottom line down the road. I deliver the most value to clients when they get me involved in the early stages of the process so I can identify and solve problems proactively before they result in unnecessary tax liability. Board Certified in Tax Law by the Texas Board of Legal Specialization and Leader of the Tax Controversy Practice Group, David Gair focuses his practice on guiding businesses, high-net-worth individuals and tax professionals through all types of complex civil and criminal tax controversies, everything from audits and litigation to investigations and collection matters. Whether his client is an international corporation involved in multi-million-dollar tax litigation or a domestic partnership battling an audit for the first time, David’s goal is to find the most effective way to protect them and minimize taxes to the full extent of the law. In civil matters, David explores every option available to prevent unanticipated tax liabilities from devastating a client’s business, either by resolving the controversy during the IRS audit process or in litigation before the U.S. Tax Court, U.S. Court of Federal Claims or the federal district and bankruptcy courts. David also has deep experience in resolving administrative controversies before state and local tax authorities, including disputes over income tax, sales/use tax and franchise tax. David devotes a substantial part of his practice to defending businesses and individuals facing tax problems that not only trigger a potentially higher tax bill, but also a criminal investigation or prosecution. Regardless of whether a case involves allegations of tax evasion, failure to file or a fraudulent return, David focuses on finding a solution during the investigation stage before an indictment is issued. Resolving criminal matters at this early stage is critical, because an indictment significantly increases the likelihood of a conviction at trial, which may result in considerable penalties or even jail time. 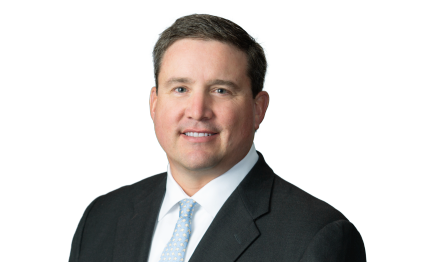 David has handled several recent controversies involving issues that are currently in the crosshairs of the IRS, including energy efficiency credits and deductions, tax shelter liability and collection cases targeting nominees and fraudulent transfers. David is also helping clients decipher the recently-enacted U.S. Tax Code provisions, with a particular emphasis on the new rules governing partnership audits. In addition to his controversy practice, David helps businesses and entrepreneurs develop proactive tax and estate planning strategies to avoid future disputes and minimize all taxes, including income, estate, gift, GST, franchise and sales/use tax. Outside the office, David spends substantial time giving back to the community and teaching the next generation of lawyers. He is the current chair of AVANCE-Dallas, a nonprofit organization dedicated to strengthening families in at-risk communities through effective parent education and support programs. He is also a professor at Southern Methodist University, where he teaches estate planning in the university’s Continuing and Professional Education program and tax procedure in the Dedman School of Law. Successfully represented a construction company in an IRS dispute over worker classification and achieved a $4.4 million reduction in liability. Successfully represented an online marketing service provider in a tax litigation case and received complete concession from Comptroller that zero was owed. Representation of clients in IRS criminal matters, voluntary disclosures, representation of clients in pre-indictment investigations resulting in no indictments being filed. Obtained a 100% abatement of a multi-million dollar IRS Jeopardy Assessment. Successfully obtained a reversal of a wrongful income tax assessment and wage levy relief. Handled IRS audits of various corporations and individuals. Successful representation of clients with state tax issues, including, property taxes and sales and use taxes. Obtained double taxation relief for clients through IRS private letter ruling requests. Successfully represented clients in Estate and Gift tax Valuation matters. Filed and obtained relief of tax liabilities through offers-in-compromise and other administrative remedies with the Internal Revenue Service and state taxation authorities. Obtained significant tax refunds for clients through refund actions both administratively and through U.S. District Court and the Court of Federal Claims actions. Representation of Certified Public Accountants before the IRS Office of Professional Responsibility, Malpractice litigation, and the Board of Accountancy. Designing and implementing multiple family limited partnerships, family limited liability companies and trusts for family owned assets. Representing clients in numerous Will probates and in administration of the estate. Corporate and Partnership tax planning for entrepreneurial business owners. Structuring and documenting sales and purchases of business entities and business properties. Creating business entities such as corporations, limited liability companies, and professional associations. Prepared tax opinions on various matters, including 1031 Exchanges, Prohibited Transactions for IRAs, listed transactions.